Every young person who joins the project chooses a mentor who supports them to become work-ready, improve their confidence and motivation, access training opportunities, work experience and job opportunities. Mentors are recruited on a ratio of 10:1 and are required to adopt a person centred, solutions focused approach. They work with a young person towards and into employment, including supporting them once employment is secured. 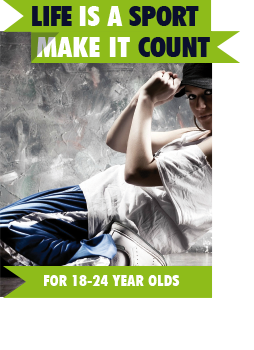 Centre Spot’s Life is a Sport – Make it Count programme engages young people aged 18-24 with Talent Match Foundation. Using sport as a catalyst to engage participants in a short programme of activities that will provide the foundation to develop soft skills that are required for other Talent Match programmes and for excelling in life. The programme is designed to increase opportunities for young people who require additional support to overcome specific barriers to employment & encourage them to take part in activities that have a positive influence on their lives. The programme will cover the wards of Wednesbury and Smethwick in Sandwell and be delivered from Pulse Soccer and Fitness Centre and Windmill Centre respectively. To find out more about the Centre Spot Talent Match offer please email: info@centrespot.org or call 01215692412.